Quantum Filmmaking will be taking part in the Triennial of Skopje at the National Gallery of Macedonia- Mala Stanica Multimedia Centre from 21 to 28 June 2015, curated by Ana Frangovska (National Gallery of Macedonia). During the residency at the Colony we also co-created X2 for the project Re-constructing the X. The piece re-constructs a pre-dinner momentum with all the points of view of the artists in residence, while registering the cheerful atmosphere of the Colony. 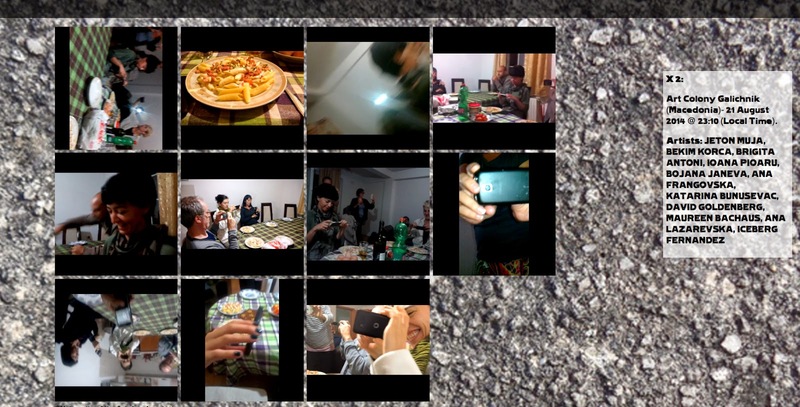 The artists performed during the interval of thirty seconds a variety of choreographical camera movements filming each others, and thus, merging the roles of artists, performers and artworks, firstly during the Off line performance, and after, in the online re-constructed multi-perspective scene. 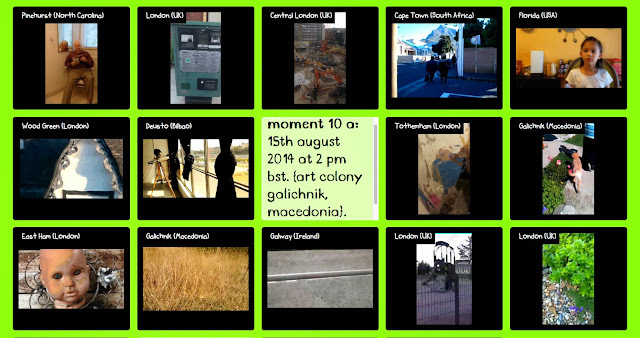 All the possible compositions of the video collage render into one when the collapse button is pressed, transporting the momentum in space and time, in the present tense of the observer: from the past perfect of the Art Colony Galichnik into the past imperfect of other places geographically indeterminate, with the future tense co-existing in superposition, as the possibility that the observers have to collapse the website again, anytime, in their present tense. 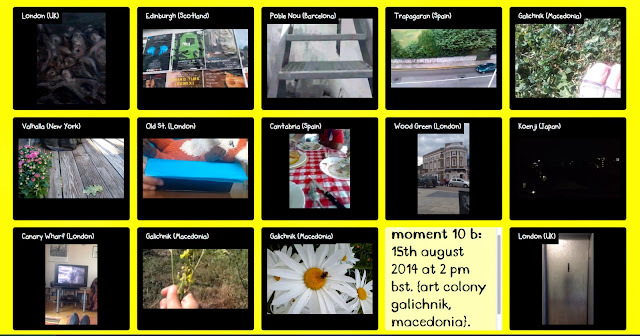 Participating Artists: JETON MUJA, BEKIM KORCA, BRIGITA ANTONI, IOANA PIOARU, BOJANA JANEVA, ANA FRANGOVSKA, KATARINA BUNUSEVAC, DAVID GOLDENBERG, MAUREEN BACHAUS, ANA LAZAREVSKA and ICEBERG FERNANDEZ.